Christmas is my favorite season of the year. I enjoy the songs, the decorations, the smells, the sounds, and all that goes into the December atmosphere. What I most enjoy about the Christmas season though is Advent – joining men and women from around the globe and throughout history to wait on the promises of God. I have been meditating on the Christmas account in the book of Matthew this Advent season, and one of the aspects that has jumped out in new and fresh ways comes from the part nobody reads – the genealogy of Jesus. 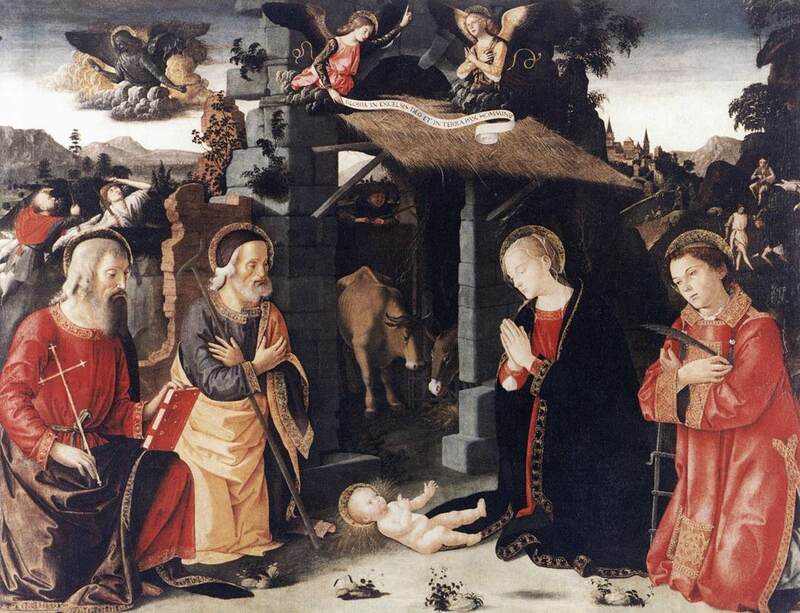 Most of us have heard about the virgin birth, the wise Magi, the shepherds, the star, and the scene at the stable. As important as those are, Matthew devotes 17 whole verses of the Christmas story to the family tree of Jesus. As I have studied this passage that introduces both the Christmas story and the New Testament, I have been amazed to find out how much scholarly work has been devoted to analyzing it. Volumes and volumes have been penned suggesting important applications of the genealogy of Jesus. Upon reading a variety of commentaries I found that there is one thing everyone agrees on – it is amazing that the genealogy includes women – 5 of them if you include Mary. We see genealogies as family trees, which they are, but to the ancient culture they were far more than that – they were a resume. You were showing off the best of your heritage. Because of that it was not unusual to highlight the best and leave out the worst. And though the religious people and secular people of that day didn’t have that much in common, they unfortunately did share one thing: a low view of women. Women did not have much respect, status, or honor in that culture. Therefore it is highly unusual in either secular or religious genealogies to see women included at all, much less 5 of them. At least two things I think. For one, for Matthew to so deliberately do it was to make a loud statement. Women were a significant part of the journey of God up to this point, and they would continue to play a central role moving forward. Mary would bring Jesus into the world and raise him. And once Jesus grew into adulthood and became a Rabbi he had both female disciples (unheard of) and female venture capitalists that helped fund his ministry. He was a gender reformer without a doubt. Secondly, because it was so unusual to see women in a genealogy, it must mean that all four of these women leading up to Mary must represent important messages of the Christmas story. I will spend the next four posts looking at each one and the message I believe that woman of Christmas points us two. I hope each story connects you to the heart of the Christmas story in the way that it has for me this Advent season.